Collins Booksellers - A1 Aviator Hat Crochet Pattern | Bomber Cap With Earflaps And Goggles by Mamta Motiyani, 9780463629284. Buy this book online. 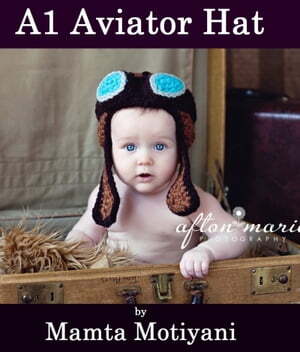 Although, the picture showcases a baby wearing the aviator hat, yet I have included all the sizes from newborn to adults in the pattern. If you need any help during the making of this pattern, I will be glad to assist you in any manner. Finished circumference sizes in inches: 14-16, 16-18, 18-20, 20-22.